If the Smiths were the high point of indie music then the Stone Roses were their dancing step children, producing music that was quite arguably the high point of the Madchester scene as the 1980s became the 1990s. Indeed, their self-titled first album was voted the Greatest Album of All Time by readers of NME. Making it as something very special indeed. However, in a career that actually lasted more than a decade from the time they first came together, they only released two full albums, the second after a gap of almost five years, and, for many, a grave disappointment after the glory and joy of their debut. The roots of the Stone Roses date back to the start of the 1980s, when guitarist John Squire and Ian Brown (later just vocals, but initially on bass) formed a group called the Patrol. By the middle of the decade, name and personnel changes had transformed them into the Stone Roses, with Squire and Brown now supplemented by Reni (Alan Wren) on drums, and Mani (Gary Mounfield) on bass – the definitive group line-up. That they were still heavily influenced by punk was apparent from their first single, 1985’s So Young. They’d yet to find a sound that set them apart, and even their second single, Sally Cinnamon, released two years later, didn’t show a great deal of originality. Their first album catapulted the Stone Roses into the spotlight. 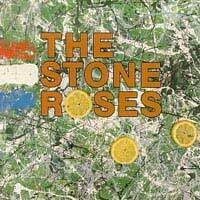 It appeared to come from nowhere in 1989, a heady mix of rock and dance music, beginning with the egotistical I Wanna Be Adored. With this record, everything clicked perfectly into place, with its fresh, open sound, and a brash, youthful confidence. The album received glowing reviews, but it wasn’t until the release of the long single Fool’s Gold that the band really cracked the charts, even managing an appearance on Top of the Pops. 1989 and 1990 were their years. They played to massive, adoring crowds, and seemed poised to become the biggest band in Britain, with an appeal that crossed musical boundaries, taking in both fans of the indie and rave scenes. The highlight came in May 1990 when they played an outdoor gig in Lancashire to 27,000 fans. By then, though, things had already begun to decline. Squire and Brown had each been fined £3,000 after trashing the office of their former record company when it has re-issued Sally Cinnamon, a simple cash-in with music that no longer represented them. From there they attempted to get out of the contract with their current label, Silvertone. That would have been fine, but the extremely lengthy legal proceedings meant they were barred from releasing any new material. With nothing new out there, and attention moving on from the Madchester scene they’d been so important in creating, they faded from the spotlight. It wasn’t until 1994 that they returned with Second Coming, a much more rock-oriented album. For those who’d loved the band for their originality, it was a huge disappointment, although it stood well as a rock record. However, there was also dissension in the ranks, and Reni left the band in 1995, followed shortly by Squire, who went on to form the Seahorses. Mani joined Primal Scream, and Brown has forged a successful solo career. Their output might have been meagre, but the importance of the Stone Roses can’t be overestimated. They gave a new direction to British guitar music, and had a massive impact on the bands that followed, such as Oasis.